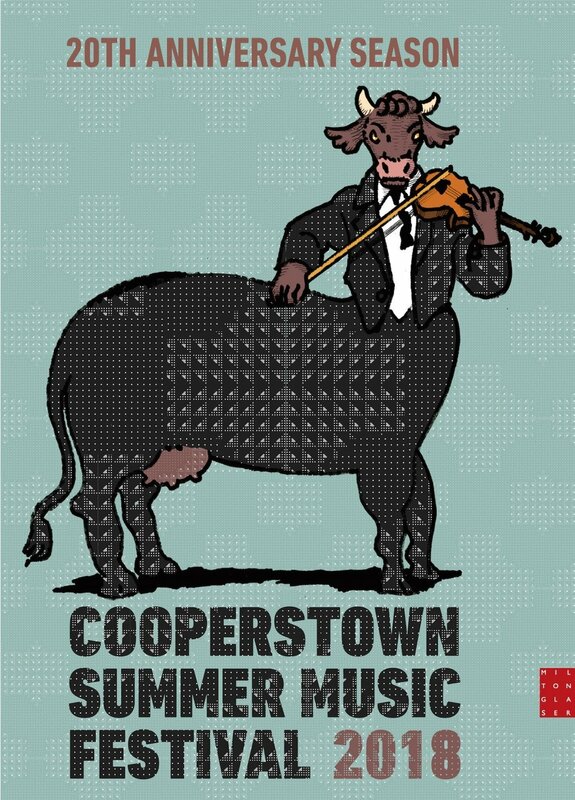 This year marks the 17th poster internationally celebrated graphic designer Milton Glaser has created for the Cooperstown Summer Music Festival. 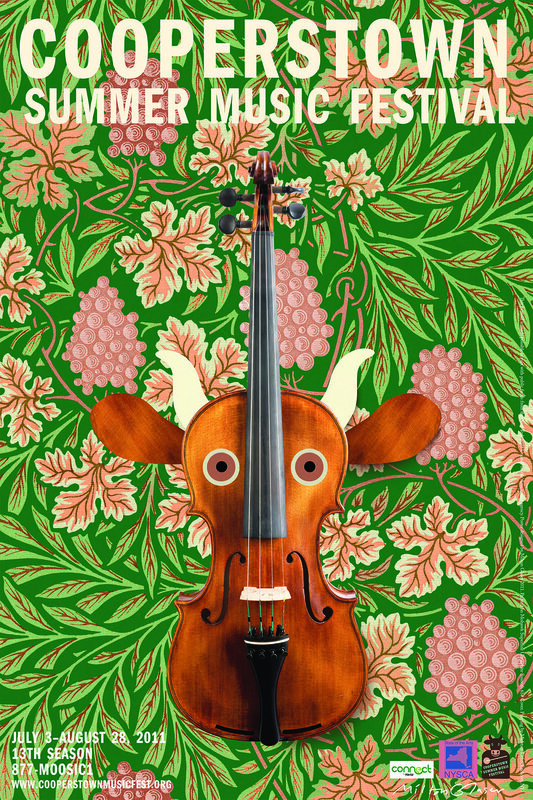 All of the posters revolve around the theme of a cow with a violin, a nod to Cooperstown’s rural setting and the Festival’s start at The Farmers’ Museum. The Festival is honored that Milton Glaser continues to offer his unique and varied talents to give us a visual legacy as well as a musical legacy. Mr. Glaser has created iconic logos for corporations and cultural institutions, including the I♥NY logo. His works are represented in the permanent collections of the Museum of Modern Art, the Smithsonian, and the Cooper Hewitt National Design Museum. In 2010, Mr. Glaser received the National Medal of Arts. The New York Times video “Studio Visit: Milton Glaser” shows the designer working on the 2015 Cooperstown Summer Music Festival poster. 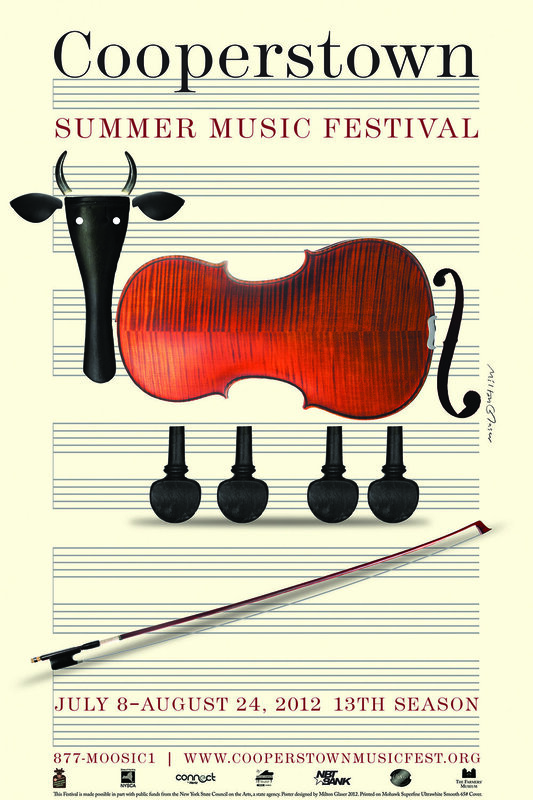 Read the Albany Times-Union feature on Milton Glaser’s work for the Festival. 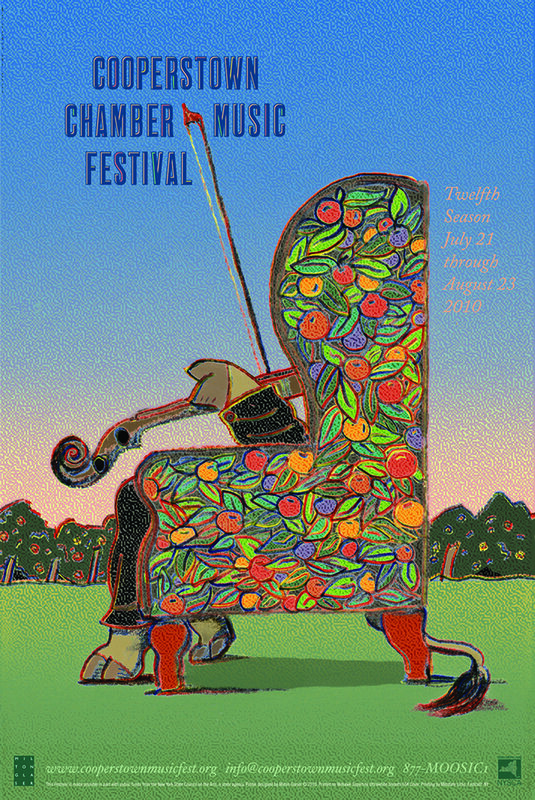 Posters (24″ x 36″) may be purchased at Festival concerts or by mail. Purchase inquiries should be sent to posters.csmf@gmail.com.